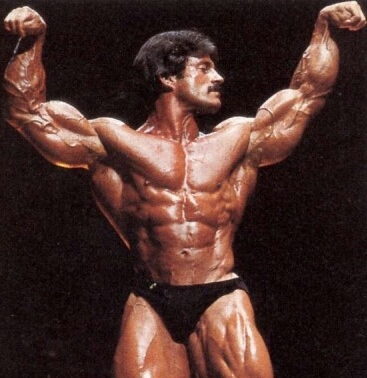 There are no real “secrets” to bodybuilding success. Success in bodybuilding or any athletic pursuit is dependent on a multitude of factors many which are within your control and some that are not. There are no “secrets” however, no special training routines, just the neccesity to adhere to some fundamental basic principles governing training, nutrition and recuperation which when followed optimise bodybuilding success. Yes anabolic steroids are part of the mix and also a prerequisite if you want to effectively compete, but their use will be covered in a separate article. in an ideal world we could follow the same wotkout regime ad – finitum and continue to make progress. Unfortunately, it doesn’t work that way. The human body is an incredibly adaptive organism which as a survival mechanism quickly becomes accustomed to the rigors we impose on it, and then adapts itself accordingly. Following the same exercise regime with the same sets and reps week in and week out, will only facilitate adaptation for a limited period, before the body adapts to the routine, and no longer feels the need to overcompensate and get bigger. At that point it has adapted to the routine and your progress will stall. Variety is key to bodybuilding success, you must regularly switch things around in order to maintain progress. Always keep the body guessing, it will then be prevented from quickly adapting to the workout routine. I suggest that you change routines every few months. Bodybuilding training without providing the body with the nutrients it requires to facilitate muscle hypertrophy is needless to say a ridiculous waste of your time and effort. Your diet may ultimately prove to be the number one factor in your bodybuilding success. This is probably the most overlooked factor in continued training progress. Ensuring adequate sleep is fundamental to bodybuilding success, as this is the only time that the body builds itself. Inadequate sleep can induce overtraining syndrome, or otherwise stall or retard progress. Trainees continue to underplay the importance of sleep as they view this as unproductive time. Nothing could be further from the truth. Sleep is one of the most important factors in bodybuilding success. “The body builds itself at rest, not in the gym” – thats a mantra thats often repeated in gym circles and you should heed it. It is easy to think of sleep time as non – productive lost time but, if you are intent on improving your physique, this couldn’t be less true – sleep time will be your most productive bodybuilding training time. This usually means a minimum of eight hours of sound restful sleep for the majority of us. The body’s first priority is conservation of energy, and so it needs sufficient rest time to recoup energy before it decides to overcompensate by increasing muscle size, which is a secondary consideration. Kevin Levrone was on record recently as saying he liked to get up to 12 hours sleep a day ! Get your rest – inadequate recuperation means wasted time at the gym. This is a fundamental principle of training. Progressively increasing load and/or repititions or doing the same work in less time will force the adaptation you are seeking. You must continually aspire to become stronger over time if you wish to acheive bodybuilding success. Too often in the gym we see the same guys doing the same routine, with the same weights, and they wonder why they don’t get bigger and stronger, when they have not given their body any reason to adapt. Their body merely remains conditioned to the familiar load. In order to progress you have to keep pushing the envelope. What drives muscle growth, then? The answer is known as progressive tension overload, which means progressively increasing tension levels in the muscle fibers over time. That is, lifting progressively heavier and heavier weights. You see, muscles must be given a powerful reason to grow, and nothing is more convincing than subjecting them to more and more mechanical stress and tension. Progressive overload is a very simple concept but it is crucial – it lays the foundation upon which all resistance training is built. The body is designed to work as a unit and responds best when it is trained as such. Exercises which incorporate the greatest amount of muscle activation also involve the greatest amount of central nervous system activity to monitor and control these movements. Consequently these compound multi joint exercises when appropriately loaded elicit the greatest response from the body. Muscles are not designed to work in isolation. 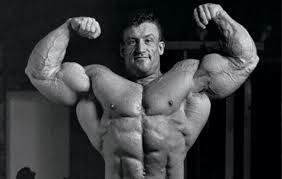 There is a place for isolation movements, indeed they are a necessity for overall bodybuilding success, however the bulk of your workout should consist of compound multi joint, predominantly ground based movements, ie squat, deadlift, military press, rows, pull ups, and chins. Compound exercises, especially squats, deadlifts and their derivatives have a systemic effect on the body stimulating it to get bigger all over. They also elicit increased production of testosterone and growth hormone which precipitates hypertrophy. Isolation exercises such as leg extensions for example, are neither functional (no natural movement utilises quadriceps alone) nor anywhere near as effective for inducing muscle growth as say squats. The focus of training for muscle growth should be compound exercises. You simply won’t have much bodybuilding success gaining muscle weight without utilising this principle. It is important to focus on the workout even before it begins. Visualising your workout beforehand will greatly assist in your performance during it and the subsequent results. Research indicates that 15 minutes spent mentally rehearsing and positively visualising yourself working out will improve your gains that night. If you aren’t using visualisation to perfect your form and increase your strength, and to provide a mental picture of what you desire, then you are selling yourself short. If you don’t believe you can manifest your goals, or are not focusing on them, you are failing to take advantage of your most important and powerful workout partner: Your mind. The mind is often capable of incredible tasks when focused and utilised correctly. As is often quoted – what the mind can conceive and believe the body can achieve. The mind can have a major effect on your weight training results – use it to make sure that the effect is a positive one. It is only within the context of having properly developed your mind that you will be able to truly enjoy the achievement of your material values, including that of a more muscular body. Lifting with intensity can be the difference between success and failure. Many trainees are under the misconception that volume of training is the most important factor, which is incorrect. Intensity is a function of time, as the late, great Mike Mentzer stated – you can train hard or you can train long, but you cant do both. Rewards go to the person with the greatest quality of training – the person that works with the most intensity. Only high-intensity effort can force the body to resort to its reserve ability sufficiently to stimulate an adaptive response in the form of a muscle mass increase. Repeating tasks that are within your existing capacity do nothing to stimulate growth, there’s no need. in an attempt to use more weight in an exercise the temptation is usually to cheat by using momentum or “body english” to move the load rather than muscular contraction. 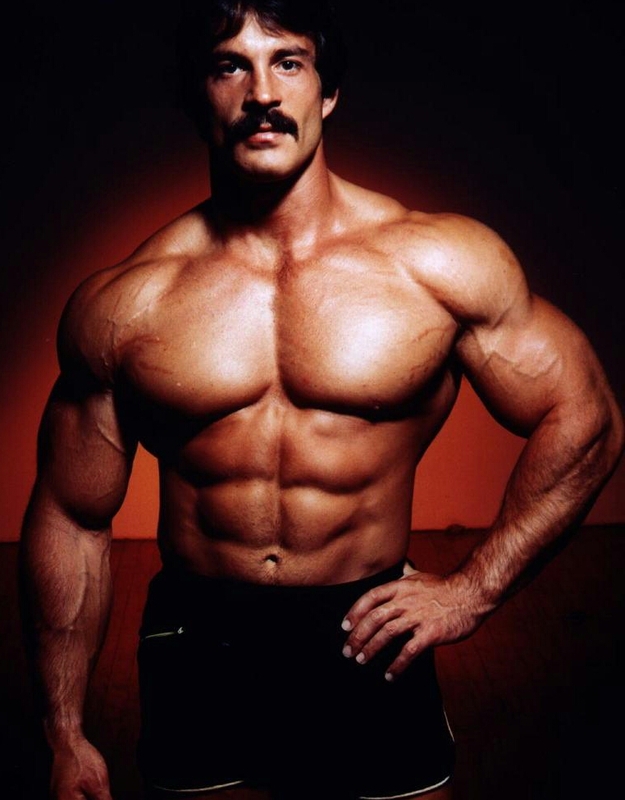 Examples of this sloppy form are cheat barbell curls, excessive bridging when performing the bench press, bouncing the weight off the chest etc. Whilst cheat movements have their uses, especially when the completion of further strict reps is not possible (they also allow you to overload the eccentric portion of a movement), they should only be used sparingly. Leave your ego at the door when you visit the gym and perform movements with strict form through a full range of motion. Good exercise form is paramount to bodybuilding success and helps prevent injury. When we use momentum the forces on the joints are greatly magnified and injuries commonplace. Learn good weight lifting form and consciously practice it – look online at “You Tube” as there are hundreds of exercise videos if you need to check your form. Good form will help prevent injury and increase the effectiveness of your training, improving your bodybuilding success. It took me many years to recognise this – at least for it to finally sink in. Logic dictates that if you aren’t getting the results you want, you do more until you do. Or, if you are making some progress with a certain volume of training, then increasing that volume will accelerate progress. The erroneous belief that more is better is dangerous logic with regards to weight training. In fact the opposite is nearly always true. I have long lost count of the amount of overtraining practise I have witnessed myself mainly in gymnasiums, and sometimes on the internet, or in muscle magazine workout routines. 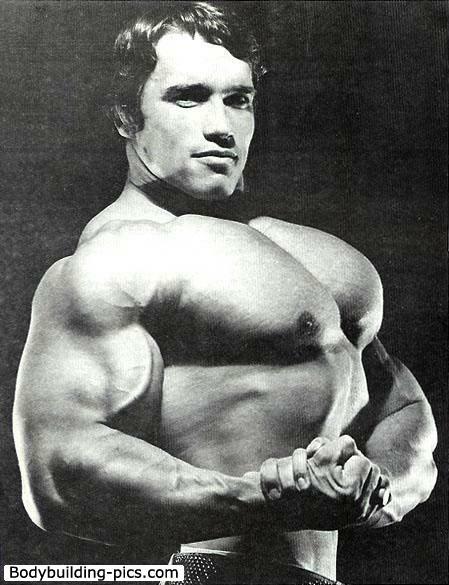 It seems to be endemic with trainees doing dozens of sets of various curls for biceps (for example), and consequently seeing zero growth – especially if they are natural trainees following a bodybuilding magazine superstar’s routine. Newbie trainees generally do not realise that the physique star in the magazine is chemically enhanced and therefore able to recover from a high volume routine. The logic instead should often be to do the opposite, to do less curls if your biceps won’t grow. The resulting improvement in your physique will stand as testament to the wisdom of this doctrine, and you will have learned something in the process. Hi – tech gym machines should be avoided, and free weight exercises employed wherever possible. The problem with machine training in general is that the machine does some of the work for you. It also gives you the illusion that you are stronger than you are, because it enables you to use more weight than you can with a standard barbell. The machine also stabilises the weight so that your own stabilsers are not employed. Those small intrinsic muscles are important for overall strength and functioning but are neglected with machine training. Moreover the machine fixes you into a groove over which you have no control, and may not suit your physical proportions as they are generally a one size fits all, even if they are adjustable to some degree. Some machines are downright dangerous and invite injury if used inappropriately. I cringe when I’m at my local gym watching guys doing smith machine squats for example. There is lots I could say about this machine, which has limited uses but makes a fine coat rack. Machines maybe convenient and have their uses but they aren’t the most effective way to build muscle or increase strength. The secrets to bodybuilding success are certainly not profound, but they are required to be followed if you wish to actualise your physical potential.